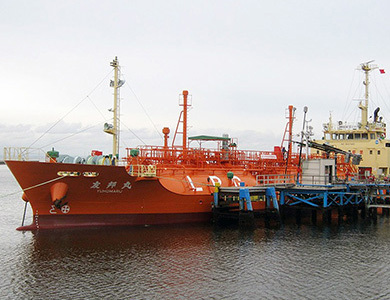 Astomos, Leading LPG trader and importer was founded in 2006 by the merger of two different companies LPG division, Idemitsu Kosan And Mitsubishi Corporation. 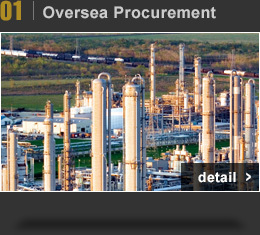 Our goal is to provide stable supply of LPG anywhere in the world. 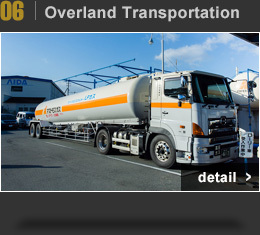 What is LPG(Liquefied Petroleum Gas)? 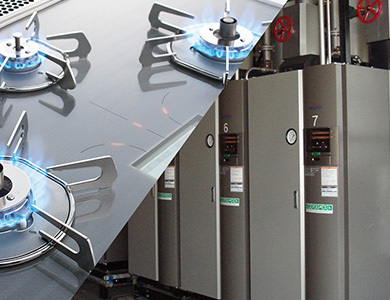 LPG is an gaseous energy product which can be used for heating in households, factories and vehicles. Compared with other energy sources,LPG's has potential in its portability and environmental performance. Value of LPG became well known especially after the devastating earthquake which struck Japan in 2011. 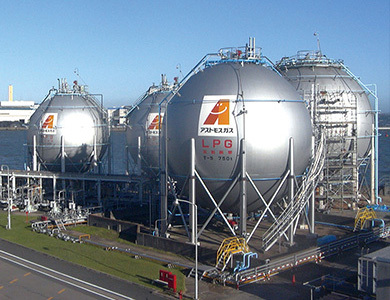 LPG is recognized as 'The Last Resort' of Energy Security in Japan. Naming Ceremony for New VLGC, "MAPLE GAS"
Warning of Spoof e-mail for customers. Astomos is a LPG importer and our procurement is from Middle East, United States, Australia, Republic of Timor-Leste and Canada. 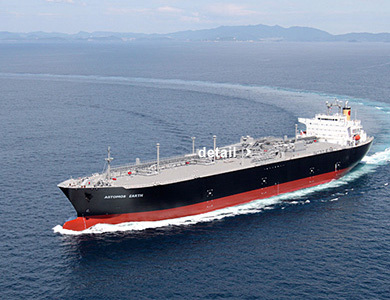 Supported by all of the LPG suppliers, Astomos handles nearly 10 Million Metric tons of LPG. 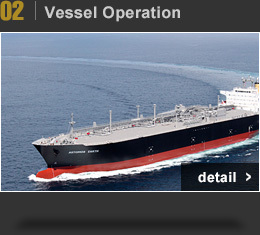 Astomos handles 21 VLGC(Very Large Gas Carrier), to promise safe and cost competitive deliveries to our customers. 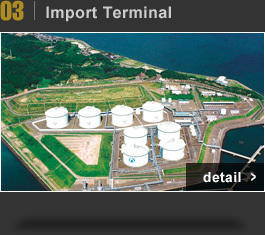 Astomos cooperate with 25% of Japanese import terminals. Strong bonds with terminal is one strength of Astomos. 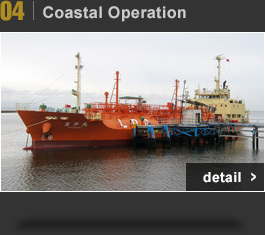 Astomos owns 6 coastal tankers which is used for transporting LPG to different terminals. If there is a sudden change in S&D of a terminal, coastal tankers will act as a lubricant for adjusting The stock volumes. 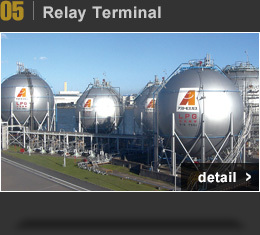 From import terminals, LPG is transported to Relay Terminals. Relay terminals are located in the inland where VLGC cannot reach. Relay terminals has strong function for stable supply especially in case of disaster. Astomos owns more than 1,000 Lorry Trucks for domestic distribution. 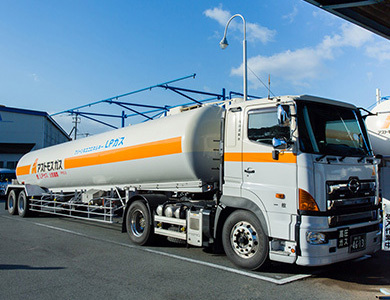 Lorry Trucks are filled with LPG at relay terminals, and then each truck discharges their cargoes at filling stations located all around japan. 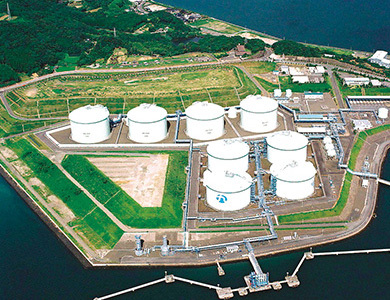 Astomos owns 40 Filling station in Japan. 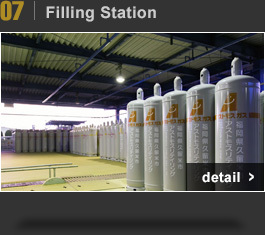 Filling Station is a small terminal which LPG is discharged in to smaller cylinders(Picture left.) for distribution. These cylinders are distributed to each households one by one. 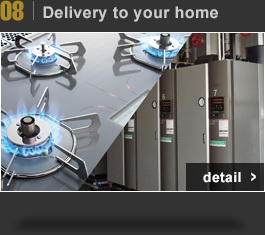 LPG is mainly used in households and industrial factories for heating. 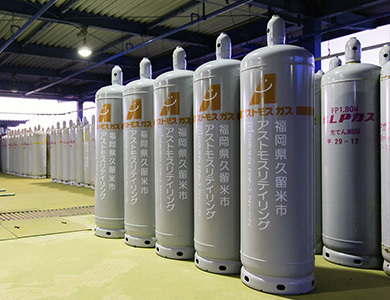 Nearly 50 Million households use household LPG in Japan. 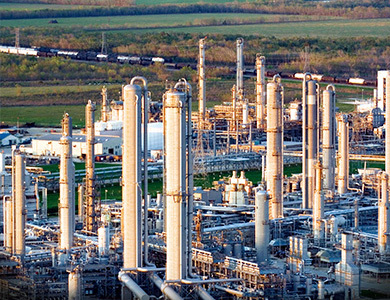 LPG can also be used for thermal power generation.